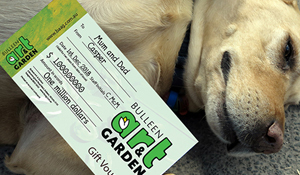 We will post your Gift Voucher once the order is received. IMPORTANT NOTE! The days of Aus Post delivering mail the next day are long gone… we are getting reports that the mail is taking anywhere up to 10 days to arrive. If you need it urgently it may be best to come in and grab one here at BAAG… or purchase an electronic gift voucher. Once you press ‘Submit Form’ you will be taken to a page where you can safely enter your credit card details on a secure NAB site. We will only use your phone number if there is a problem with the order. Where would you like us to send the voucher? When you press ‘Submit Form’ you will be taken to a secure area where you can safely enter your credit card information.